If you are looking to spend a fun time with words and letters, then here is the perfect book for you. You will want to take your time reveling in the whimsical, colourful language of these original stories, as well as absorb the beautiful illustrations that go along with them. 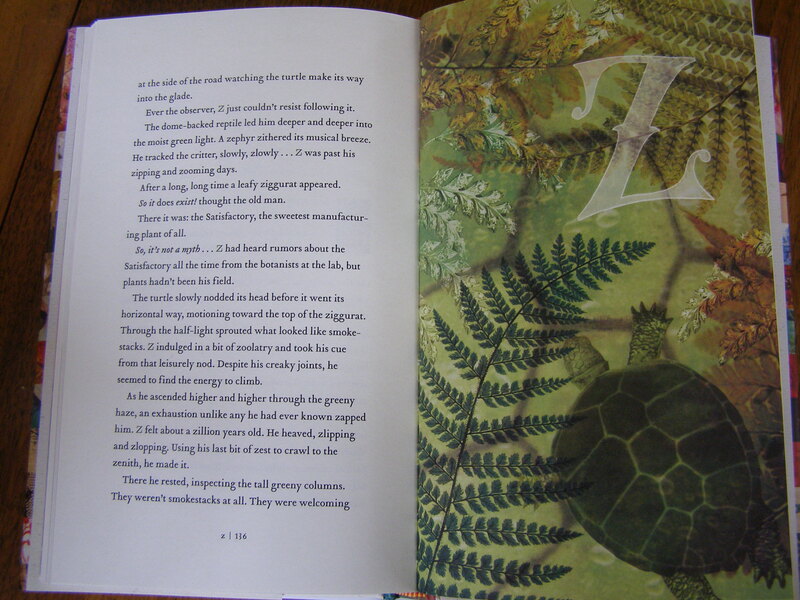 The illustrations compliment the stories well. 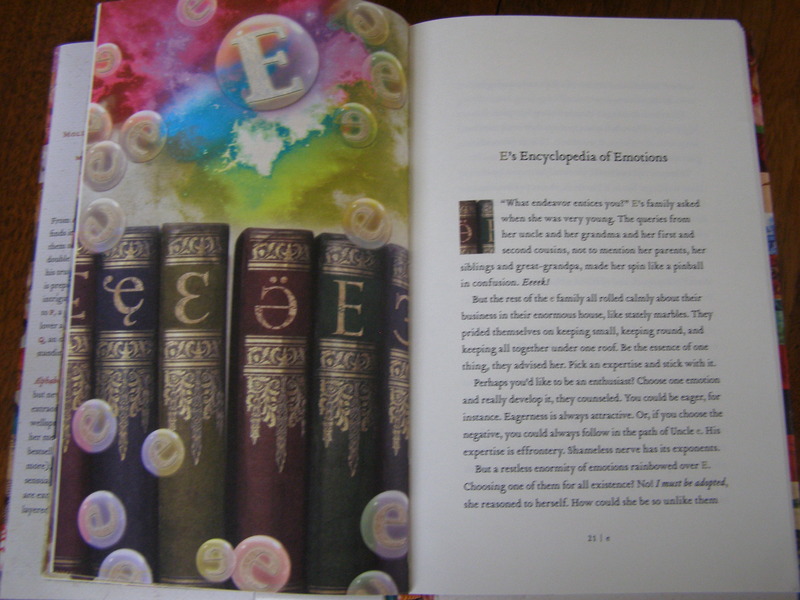 They are interesting and beautiful, highlighting the essence of each story. 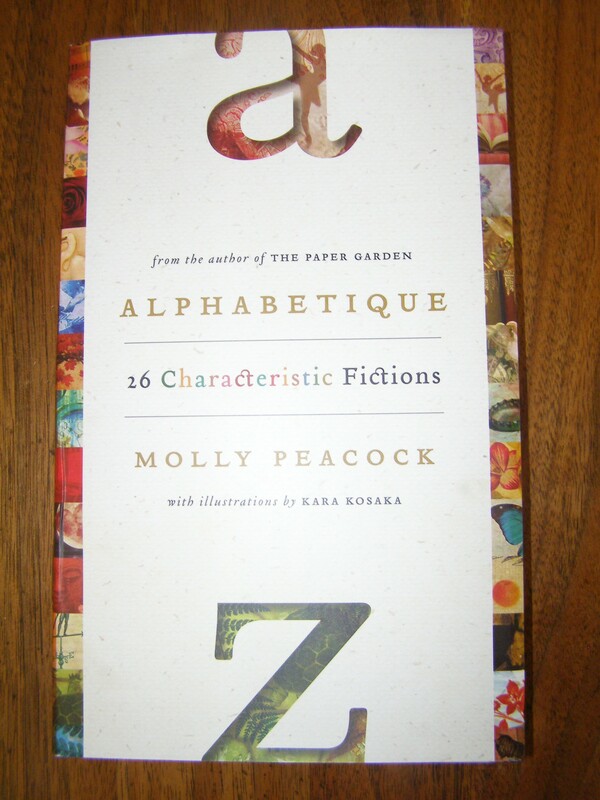 Molly Peacock has written a story for each letter of the alphabet. In each tale, she uses the letter as much as she can without going overboard. It sounds like a book for children, but it is not an easy book to read at all. I have learned so many new words because of this book. The clever titles are a joy to discover as you read through the book; The Birth of a Genuine Article, The Flibbertigibbet’s Flaw, While Jiggle Juggles J Makes Jam, O’s Full Circle, R and Her Great Egret, X Marks Her Spot (with Lipstick). While reading the stories, you can tell that Molly Peacock had fun writing them. As A climbs the Alps with her husband, THE, she tries to come up with the perfect name for their first child. As a little girl she couldn’t wait to jump into things, to somersault behind an e to make an eagle fly, or pirouette between twin ps to make an apple pie. Soft c is trying to find his way in a world full of hard Cs. Hard cs had their function in this world: they marched with hs to challenge and charge; they climbed with rs to crest and crown. They linked with ls to clatter. But soft c preferred contemplation and slipping into a word to alter it, say from sent to scent. Teenage O, like many young people, wished she was something other than what she was, until she goes out into the world and meets Zero. For them, the state of an O was sublime. Os opened doors, created occasions and, best of all, offered opportunities! Why was their daughter so mopingly hopeless when the natural state of an O is optimism? V is always on the move, doesn’t want to be left behind, inserts herself everywhere. … V was not interested in making points, but in being them. I think my favourite story in the collection is Wacktastic. Wisteria and Wittle grew up signalling to each other from their windows. In this way, they formed a close friendship, which helped them endure until the time came for their daring escape. Why be? To witness another’s existence, of course. Wittle and Wisteria were classmates in the weird school of life that was framed by two windows of two children locked in their rooms by a mother witch and a daddy warlock. 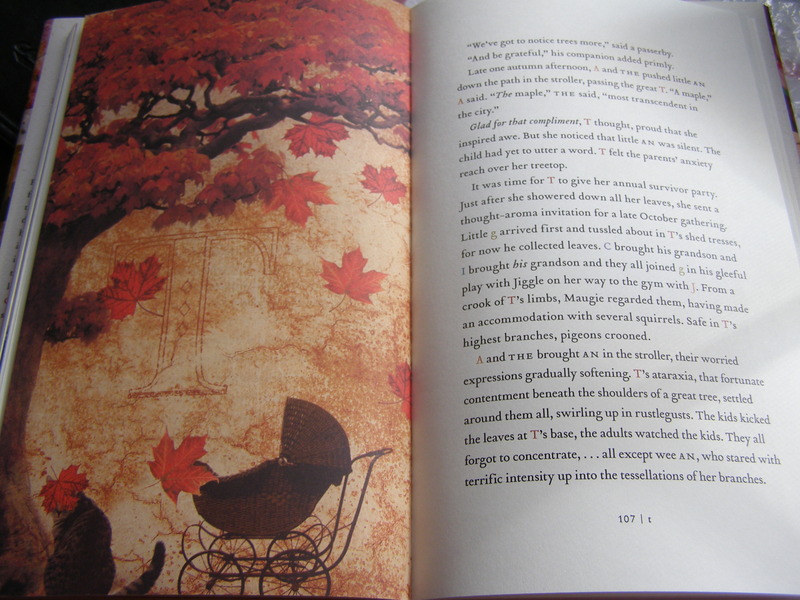 As Wittle sharpened his wits on reading, Wisteria wrote. And the warty window washer whizzed by. Molly Peacock is a poet, essayist, biographer, and short fiction writer from New York, but who now makes her home in Toronto. To see her other literary works, visit her website. There, you will also find reviews, interviews, events, and her ‘Museletter’. Molly Peacock’s book, The Paper Garden sounds fascinating, and while browsing her site, I clicked on her newest book of poetry, The Second Blush, and loved the poem excerpts and the concept of the book. I recommend you go have a look. 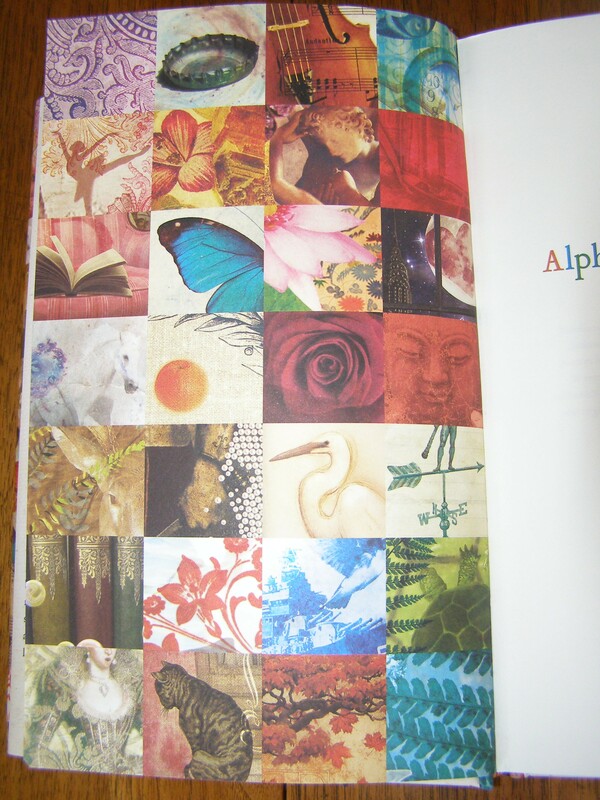 To see more of Kara Kosaka’s collages and book covers, click here. This sounds so clever and looks so beautiful! It is! And it made me want to check out her other books (including her poetry). This sounds lovely! The author clearly loves language, and I love how she plays with it in the bits you quoted. That’s what I loved about it, too. The author really seemed to be having so much fun! Wish I had thought of this. Reminds me of Mary Oliver’s book of poems about dogs called “Dog Songs”.I read her “How to read a poem”. Great book. Sounds wonderful! I’m going to check her out right now! I agree. I have never owned an e-reader, and I have never felt any desire to. I flipped back and forth through this book a lot as I read it. It just wouldn’t be the same without pages.